International lotteries are increasingly popular and players from all over the world who are not satisfied with their domestic offer, can play beyond borders. While this is regarded by many as an excellent opportunity of playing the lottery, it also opens the door for scam artists. 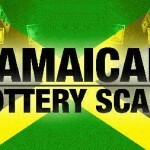 Jamaican lottery scams are perhaps more numerous than any of its counterparts, with the victims being elderly US citizens who are tricked into paying considerable lump amounts. The perpetrators have their headquarters in Jamaica, and the authorities from both countries are going to great lengths to put an end to this escalating threat. 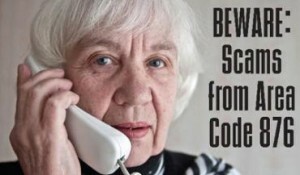 The authorities took notice of the fact that the number of phone calls coming from Jamaica and targeting elderly residents across the states of Vermont, New Hampshire and Maine has increased. Some sources state that as many as 30,000 phone calls are made each day and the con artists are extremely persistent and their methods are increasingly sophisticated. While the methods differ from case to case, the goal is always the same and the figures are deceived into paying large amounts or sharing personal information. Elderly citizens are regarded as more vulnerable to these types of cyber criminal activities, as they are not up to date with the latest discoveries in technology. 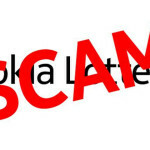 Not all the scams are very sophisticated though, and some of the bad guys focus more on overwhelming the recipient with an avalanche of phone calls. Some even cross the line and turn harassment into plain threats in their attempt to extort money and a sizable percentage of their victims end up losing their life savings. Those who are deceived once become the focal point of attention for scam artists, who keep calling them and ask for more money. 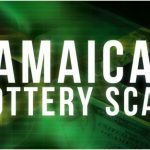 With the victims being almost entirely located in the United States, it comes as no surprise that the American authorities are the ones who seem more determined to put an end to Jamaica lottery scams. One of the institutions that is at the forefront of this offensive is the State Minister for Foreign Affairs and Foreign Trade, who works closely with this Jamaican counterpart. Despite their best efforts and widespread campaigns of informing people of the perils of lottery scams, the results are mediocre at best. Jamaican authorities are equally determined to catch the criminals because the country’s international image is quickly deteriorating due to their activities. The more pessimistic analysts consider that the officials are fighting a losing battle, because the number of naïve people is simply too high and the wrongdoers too numerous. The Caribbean country is in danger of becoming notorious for becoming the headquarters of those who run lottery scams, and changing this image will take a lot of time and effort. 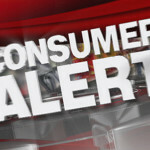 Check out Scammers: avoid the like you would the plague now.